How many of you have heard of Jaan Kirsipuu? Most likely, many, as the former rider from Tartu was an important figure of the peloton more than 15 years ago, when he was fighting at the Tour de France sprints, scoring along the way four stage wins, while riding for AG2R and Crédit Agricole. But how many of you have heard of Mihkel Räim? 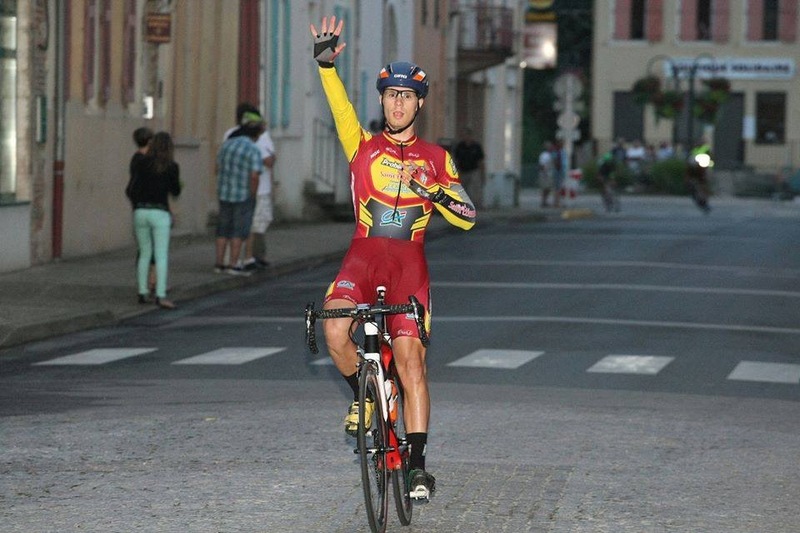 At the moment, not many can say that, but be sure you keep his name in mind, as the 21-year-old is flying this season and the results he scored so far are helping him build a nice CV that ultimately will take the Estonian cyclist to the pro ranks. Although young, Mihkel Räim – who rides for Team Pro Immo Nicolas Roux – doesn’t lack the confidence which is so important in such a tough sport, where everyone is trying hard to make a name for themselves. On top of that, he’s hard-working and displays each time a very aggressive style (which is a trademark of Baltic cyclists), and that has helped him get not only some impressive results, but also many plaudits. Recently, Mihkel accepted to sit down and talk for Cafe Roubaix about his first years in cycling, his 2015 season, the most interesting and funniest situations encountered so far and his goals for the future. – Mihkel, how did you start cycling? Actually, it’s not surprising that I discovered cycling. My father is an ex-rider, he owns a bike store, and he is DS and President of a cycling team (Saaremaa Jalgrattaklubi Viiking) in my home island. He organized one of the most popular cycling races in Estonia, named Saaremaa velotuur for over 20 years. All my uncles have been cyclists at different levels, so it was pretty obvious that I have to try it. – At that time, did you have an idol or a rider you looked up to? I had plenty of idols, depending on the day. Some days, my biggest idols were my uncles. Some days, when I watched races on TV, it was Marco Pantani. In the flat races I was always supporting the Estonian cyclists, like Jaan Kirsipuu and Lauri Aus. – How were your first years, what do you remember from back then? When it all started, I only raced the local events. When I began for good, I didn’t win races, I was just in the top 6 sometimes. When I got a better bike, I started to win local races, and one of my favorite memories is when my father helped me make custom cycling clothes. It was a really nice day, he made the custom ones, because cycling in Estonia wasn’t very popular back then and there weren’t proper racing clothes for me in the bike stores. Afterwards, when I went to national races with my dad, I finished in top 10, but the victories came a couple of years later. – How popular is cycling in Estonia nowadays? Did something change? It has really changed a lot. Cycling is very popular in Estonia and it keeps getting bigger and bigger and I am really proud of that. For example, our national cycling calendar is packed with races, so the riders have to choose if they want to do MTB race or road race. There are even week-ends when you have to choose from two road races. Honestly, I am really looking forward to the development of cycling in Estonia. – How would you describe yourself as a rider? What are your strong points and what would you still like to improve? That’s a tricky question. First word what comes to my mind is aggressive: that means I really like to attack and make others suffer. Also I am pretty good in the sprint, I have the sprinter’s speed, but sometimes I am not too crazy to fight with the elbows before the sprint. Breakaway sprints are for me, that’s my cup of tea. This year I made some important progress on the climbs, so I can get over some climbs now and this is very big for me. In the past, when the road began to rise, I was immediately suffering at the bottom of the ascent and then was dropped in a flash. This year, in France, there have been situations when I have made even some climbers suffer and that’s cool. If I can go over the climbs with skinny guys, then it’s pretty easy to sprint with them. My weakness is the time trial and of course I believe I can be better on the climbs also. I think I am psychologically strong, but I have also cracked in the past. It happens. – After a couple of years in your home country, you came to France. How did this happen? For an Estonian cyclist is a natural step to move to France after he graduates school. There are a lot of guys who did it before me and I am pretty sure that in the future there will be plenty of guys who will follow in my footsteps. After having strong results in the 2012 Juniors Paris-Roubaix, where I finished in 12th place, a local French cycling enthusiast, Jean-Claude Comby, contacted with me and made me an offer to come to France. He came with a nice racing schedule, gave me place to live and it was all perfect for me to prepare for the World Championships. So I did some good races in France, won two of these and got several podiums. Then I signed with a French DN1 team CR4C Roanne. It was my first foreign team. – Some riders have a cultural shock when changing countries. Was it the same with you? I think I have adapted well. Of course, there were some funny things that happened along the way. For example, shaking hands with teammates in the morning and when you leave. It was weird, we do it sometimes in Estonia, but mainly we just say “Ciao” and wave hands. The second thing was eating white bread. Oh, my God, how many French people eat that, and in considerable amounts. Third thing was kissing the ladies on the cheek when saying hello. There were also the never ending dinners, almost 5-hour long, which was softly brutal. I am sure there were some more things, but these are the ones I remember very well. – Of the many wins you got so far, which was the most important for you? It’s a tough question, because every victory is special. Tour de la Region de Lodz stage victories and win in GC are special, as those were my first successful international races. Winning a stage in the Baltic Chain Tour was also important, because it was my first – and I hope not the last – pro win. Stage victory in the Saaremaa velotuur was psychologically important, because my father and mother have organized this race for many, many years and it was like gift to them. But I really hope that best victories will come in the future. – How about the most interesting or unusual situation you encountered in a race? I think it happened this year in Flanders, when I ran up the cobblestone climb of Koppenberg. When I started to ride it, I thought “damn, this is not real”. Running it in a cycling race it was fun, but because of that I lost a top three placing there. Looking behind, I’m sure that I had the legs to win Flanders. – This year, while riding for Team Pro Immo Nicolas Roux, you already scored a victory, three podiums and finished 6th in Flanders. Was this first part of the season above your expectations? I am surprised by my strong first half of the season, but on the other hand I worked really hard in the winter, so I think I deserved it. Being 6th in the Tour of Flanders was like the cherry on the cake. Inside my heart I believed I can have results like that, but there were still some question marks. When I raced Flanders for the first time, in 2012, I knew that this can be a race where I can do well. I recently finished the Tour d’Azerbaijdan, and although I didn’t got any super results there, I saw that I can ride well at this level and opponents didn’t underestimate me. Now I have some Elite races in France, then the Tour of Estonia (UCI 2.1), the European Games in Baku and the National Championships. Of course, there are also the European Championships, which will be held in Estonia, at Tartu. My goal in these races is to get strong results and I hope that some pro team will see me and I can sign a good contract. – So your big goal is to join the pro ranks soon. I was pro once before, in 2013, with Amore&Vita, and that year was really difficult for me, both from a physically and psychologically point of view. I really hope it’s going to happen at the end of this year. If not, then I will try again next year. If I can’t do it then, I don’t really know what to say, maybe I’ll have to stop cycling. It depends on what conditions I can ride in the French amateur level and what will my motivation be. But one thing that’s certain is that I am doing all that I can in order to earn this desired pro contract.